Please don't get it twisted. Believe me when I say that I am the last person on earth that should be telling anyone about perfection because I am so far from perfect. I ain't perfect. And for that reason perfection is a beautiful thing. It is a beautiful thing to strive for...not in my own strength but in His. 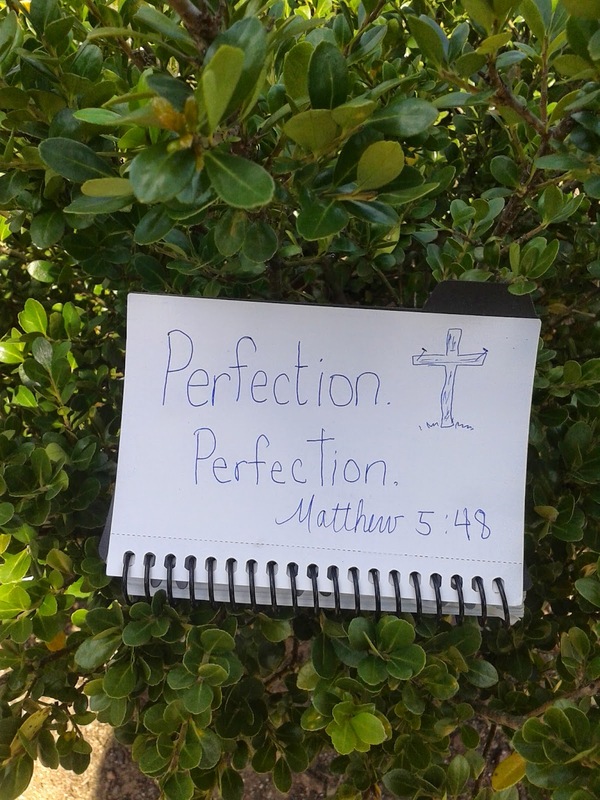 Perfection is something to strive for as a Christian. I mean in a good way. As a Christian, we should do our best in whatever we do. We should keep our eyes on our Perfect Pattern even when we fall and make mistakes. I don't mean run around talking and acting better than you are or better than anyone else, but doing the best you can with what you have and doing it for the glory of God. ...doing everything for His glory is what I mean. I hope someone understands what I am trying to say here and I hope you understand the spirit and context that I mean it in. Perfection is a beautiful thing.